As an eminent Powerless Roof Turbo Ventilator Manufacturer, we make sure to serve our clients in a prominent way. 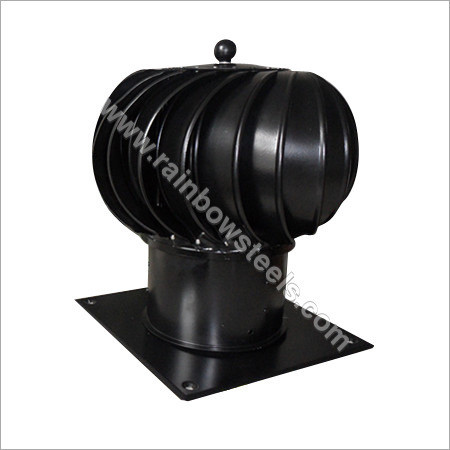 The 6inch Powerless Roof Turbo Ventilator are widely used in workshop, warehouse, factory, stadium, assembly hall etc, where there is need of convection in-between natural air and windto accelerate. Subsequently, it converts the parallel airflow into vertical to ameliorate the indoor ventilation. Built with innovation, our products run on latest technology, hot air rises and there is a fall in cold air making the fan of ventilator rotate efficiently.